Personal Liability, Maternity benefit, childcare benefit, Treatment of Mental and Nervous Disorder; Including Alcoholism and Drug Dependency, Medical Expenses for Inter-collegiate Sports Injuries, Cancer Screening and Mammography Examinations, Emergency Financial Assistance, HIV Cover. 3. Bajaj Allianz Bajaj Allianz already bagged the coveted CNBC AWAAZ Travel Awards as the best Travel Insurance Company in 2010, 2011, 2014. The provider enjoys a robust presence in the India’s travel insurance space by virtue of its comprehensive travel policies. Here is a list of travel covers on offer at Bajaj Allianz. HDFC ERGO has come up with an array of general insurance products that encompass Health, Motor, Travel, Personal Accident and Home in the retail space. The company received iAAA rating by ICRA for paying highest amount of claim. As far as the travel policies are concerned, HDFC ERGO offers Single Trip, Multi-Trip, Asia plan(excluding Japan), Family Floater plan and a Student Travel Insurance Plan called Student Suraksha. 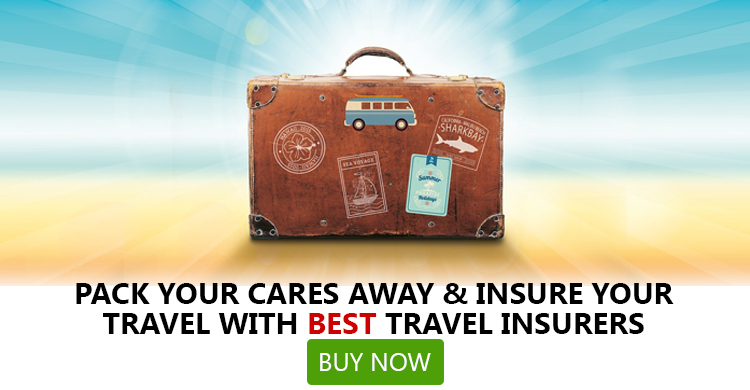 Conclusion: Now that you are familiar with the leading travel insurers in India you can buy your travel policy from any of these providers as per your budget and requirement. There is no restriction about the time of purchasing travel cover but most people avail it a month or two prior to the beginning of their journey. You can choose from the above-mentioned providers and buy travel policy directly from their portals. But, it is always better to compare travel plans in terms of premium, coverage, exclusions, claim settlement record. To make a detailed comparison without spending a lot of time on multiple travel insurers’ portals, you can resort to online insurance comparison portals like GIBL.IN where you can compare, select and even buy the travel insurance plan you want for your forthcoming tour. Here, you can rest assured of getting the best deal available and the much-needed assistance at the time of making a claim.